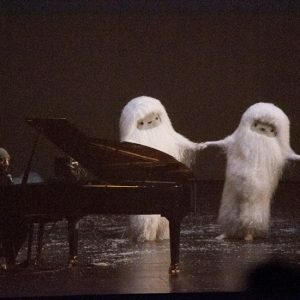 In 2011 Pictoplasma conceived “The Missing Link Show”, a performative piece combining live music concerts, video projections and dance performances to create an over-the-top pop opera. 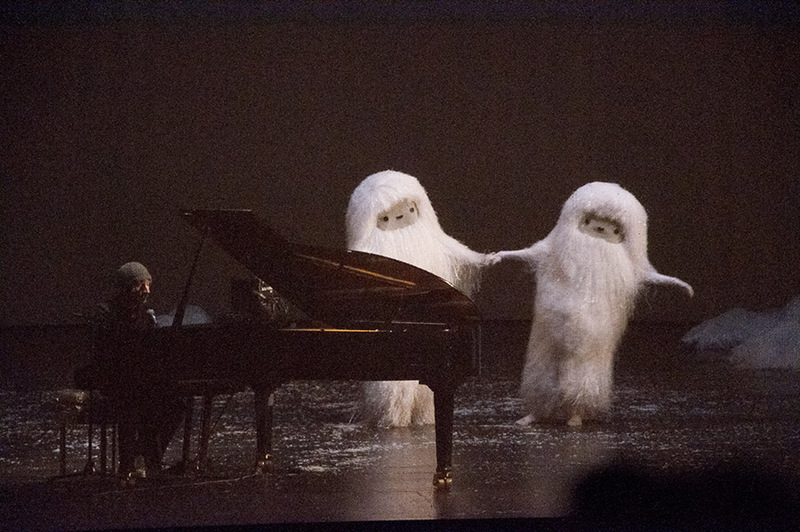 While the live music acts function on their own as a pop concert, the parallel visuals and performances add a narrative layer, following the visual narration of the last mysterious entities without a clear depiction in our culture of visual overdose and instant google-search gratification: The Missing Link. 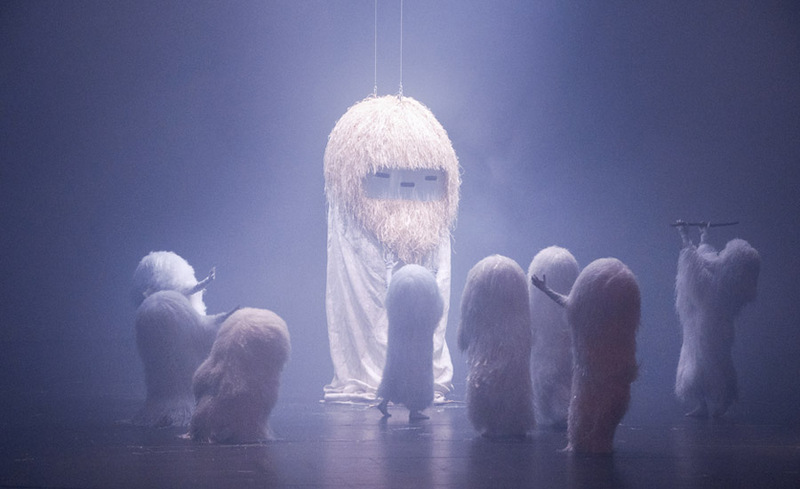 The show plays out the fantasy of how these characters fell from their happy homogenous existence as a functional hippiesque tribe to turn into a hunted species of lonely, desperate creatures and outsiders, and culminates in an alternative synthesis of their return to fulfill an immersive ritual that involves us humans. 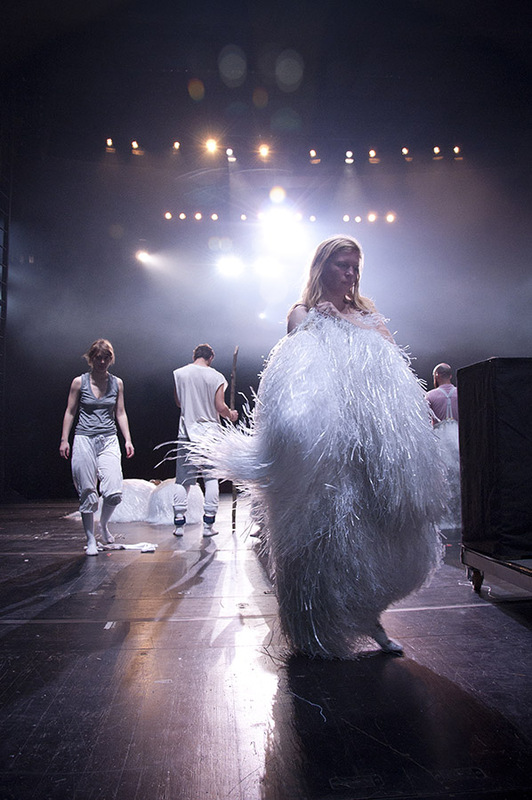 The show premiered 2011 on the revolving stage of the Volksbühne am Rosa-Luxemburg-Platz, Berlin, featuring Maximilian Hecker and Dan Deacon, and was re-staged in an adapted version at la Gaîté Lyrique, Paris, in collaboration with Jason Forrest.